Baby name consultation: Is this name okay? Though my gut reaction was that Anessa is totally fine, and a beautiful choice!, I did give some good consideration to the question — names that are more unusual are more prone to having just one association stick, after all. I googled Anessa to see if anything weird came up — there seems to be a brand of sunscreen called Anessa, and an Asian site that have the name but I have no idea what it’s saying and even if it’s bad I can’t imagine it would be the kind of thing that would be a problem here. It seems one of the Cabbage Patch Kids from years ago was Anessa as well. Even the name sites don’t have much on the name, and you all know that any time there’s a chance for someone to voice an opinion online (especially a negative one! ), people jump at the chance! So the fact that there isn’t anything controversial to read is encouraging. It would be really helpful to get your opinions as well. Is there anything about the name Anessa that these parents should know before choosing it? Isn’t that so interesting? From 1900 to 1997, it wasn’t in the top 1000 at all. Doesn’t that surprise you? Then on September 29, 1998 the show Felicity aired, which accounts for the name’s appearance at no. 818 in 1998 and the HUGE leap it made the next year! It stayed between 400 and 800 ever since, being currently at the most popular it’s ever been, at no. 360. Part of the reason for the recent increase in popularity might also be due to actresses Felicity Jones and Felicity Huffman (who’s one of eight! Six girls besides her: Mariah, Betsy, Grace, Isabel, Jessie, Jane, and one brother: Moore, Jr.) and also the Revolutionary War-era American Girl doll by the same name. But even still, no. 360 is really not that popular at all, especially given what we know about name popularity today (here, here). All in all, I think it’s sort of in a sweet spot of popularity — uncommon yet familiar. Felicity was the maidservant of St. Perpetua, also a mother of an infant who was martyred at the same time — they share a feast day: March 7. That Felicity is St. Felicity of Carthage, but there are others too, like St. Felicity of Rome who was mother to seven sons and was forced to watch them all killed in front of her in order to get her to renounce her faith (it didn’t work); she was then martyred. Felicity’s also a virtue-type name — it means “happiness” — which puts it in league with names like Grace, Faith, Hope, Sophia, and Verity. It’s got so much going for it in its full form, but I feel like a big part of the conversation around the name Felicity involves nicknames — specifically, I know parents who decide not to go with Felicity because they can’t figure out a nickname they like. Some traditional ones are Fliss(y), Liss(y), Lissa, Fil, Flick, and Flicka (Felicity Huffman has a web site for women in general and moms in particular called What the Flicka), but what else can we get out of it? Ages ago one of you (eclare) suggested Lily as a nickname for Felicity, which I thought was brilliant. Another of you (Margaret) has a daughter named Felicity who gets called Fin — a nickname from one of her middle names, but I totally think it could work for something like Felicity Nora. Zita is a Hungarian diminutive of the name, and Zyta a Polish short form — I really like both those options. The comments for the entry on behindthename include Fee and Felly as nicknames, which are cute. Cissy could probably work, as could Liddy, which I love. What other ideas do you have? What do you think of the name Felicity? Would you name a daughter Felicity, or have you? Does she go by a nickname? Do you know any little Felicitys? And my grandmother was similarly blond and blue-eyed, so she and Annie Oakley were always intertwined in my mind! 😄 I called her Mimi, and we were quite close. Her last birthday card to me. 💕 I always loved her handwriting. She was brought to what is now known as New York Foundling, an orphanage founded in 1869 by the Sisters of Charity, in August 1910 by a woman who said she was her mother. My grandmother was about two weeks old, and her mother signed a paper saying she’d return for the baby in one year (she never returned). She signed her name “Mary Ferguson” and gave the baby’s name as “Anne Lewis,” and said that the baby had been “born at home,” giving the address as 112 West 62nd Street. The Sisters had her baptized by a Dominican priest, Fr. Wilson, O.P., from nearby St. Vincent Ferrer church. All this info was given to us by the NY Foundling from their records. I’ve spent countless hours online, both on Ancestry.com (I have many many times gone through the 1910 census records looking for any Ferguson or Lewis at that address [doesn’t exist in the census] or surrounding streets) and doing internet searches of various kinds. I’ve looked at census and immigration records for Mary Ferguson — it doesn’t help that it’s got to be one of the most common names in NYC at that time! I even looked at the signatures on a bunch of immigration records, trying to match them up with the the signature Mary Ferguson left on the document she signed at the Foundling (no luck). One fun bit of info is that I hired a professional genealogist who found that there was a 22-year-old named Mary Ferguson living at the Foundling, listed as a servant, when the census was taken in 1910! Could be a coincidence, but maybe not! I never thought to look at their census records, I love knowing that bit of info. So if she was 22 in April 1910, she would have been born in 1888 or 1889. The genealogist didn’t find any other info, but did confirm that the 12th Regiment Armory was at that spot, though its address would have been Columbus Ave. as its front faced that way. It would be amazing if any of you read this and thought, “Hey! That sounds like this story I heard from my family tree!” Or maybe you’ll think to mention it to someone in casual conversation who will perk up and say, “That’s my great-grandmother’s exact story!” You never know! Both of which I looooove, totally my speed! “I really like that, although not our intention, we have two saint names with deep Marian devotions AND middle names of original apostles. So, although it isn’t a deal breaker, it would be neat to continue that streak. Our top choice, and the only name we agree on at the moment is: Oliver (after Oliver Plunkett). I like Oliver, but it is a departure from the way our other names “sound.” And, I’m really uncomfortable having only one name we both like … it feels like settling. Maybe the right middle name would make it fall into place? I love so so much the reasoning behind their love of St. Oliver’s story! Alrighty, so I too love their pattern of first names=”saint’s name with deep Marian devotion” and middles=”names of original apostles”! Though I took a quick look online and couldn’t find anything that explicitly discussed St. Oliver’s Marian devotion, not only am I sure he had one, but I’ve also seen Olivia used to honor Our Lady of the Olives — so they could think of Oliver as a twofer! St. Oliver and Our Lady in one name! As for middle names for it, I really like Oliver Nathaniel (Bartholomew was called Nathaniel in the Gospel of John), which I think is the most unusual of the remaining apostles’ names … or Oliver Levi (another name for the apostle Matthew) … Oliver James has a very Brit, bookish +feel, which I quite like … Oliver Thomas is solid and handsome … if they wanted to think outside of the original apostles, Matthias was chosen to replace Judas—I love Oliver Matthias, and like Nathaniel, it brings a little more of the unusual that Erin said she’d rather they err on the side of, an obviously biblical sparkle. And if they ventured even further into New Testament territory, something like Oliver Nicodemus would be amazing. As for new ideas, I know what they mean about their third baby—especially being the same gender as their older two—really cementing their naming style. One of the ways to manage that, if they don’t want to get boxed in for the future, is to use three different styles for each of their three boys, and I actually think Oliver would do that: Dominic has a real Latin-y incense+monastery feel; Kolbe is a surname with a more modern feel; and Oliver’s Irishy and sweet. Going forward, they’d have three different feels to choose from, and good overlap between them. Beyond the idea of a third category, I loved the idea of finding names that would “straddle” the two styles Erin and her hubs have used already (and of course I’m only calling them “two styles” in order to find other names that fit … they certainly both fit squarely in the “super saintly” category)—so I thought a name that has equal-ish use as a first name and a surname would do so. Fulton was the first idea I had—though it was Fulton Sheen’s mom’s maiden name, everyone knows it as his first name. The other idea was Bennett, which is a medieval form of Benedict, which is how the surname arose—I know a few little Bennetts, and it’s certainly recognizable as a surname as well. Finally, I thought another way to manage their styles going forward would be to switch the order of the names—instead of sticking with a really saintly first name and New Testament middle (I’m using “New Testament” rather than “original apostles” in order to include Gabriel, which I think is a great fit for them! ), perhaps they could consider their pattern to be “one name from the New Testament, and one that’s really saintly.” To that end, I thought Simon would be a great fit for a first name. It reminds me a lot of Oliver—it has a similar bookish, academic feel, and is of course one of the original twelve. I thought of Simon Peter as a combo being a good one for this family—it brings in that heavy hitting feel of Dominic and Kolbe—and then I thought of Pierce, which is a variant of Peter, so Simon Pierce would really be “Simon Peter,” but Pierce has an added Marian element in that one of our readers said she knows someone who named her son Pierce after the Prophecy of Simeon (“a sword will pierce [Mary’s] heart”). Cool, no? And Gabriel’s a style match for Xavier, Isaac, and Samuel, and so tied with Our Lady through the Annunciation, as well as being a New Testament name. And those are my ideas for Erin and her husband’s new baby boy! What do you all think? What would you suggest for the little brother of Dominic and Kolbe, if they end up not going with Oliver? I posted a consultation for Cait and her husband on the Feast of Our Lady of Guadalupe, and she’s let me know her little girl has arrived and been given the gorgeous name … Faustina Irene! “Faustina Irene was born on Monday, Feb 13, at weighing 9 pounds, 8 ounces and 21.5 inches long. She and I are doing wonderfully. Such beautiful names! Congratulations to the whole family, and happy birthday Baby Faustina!! 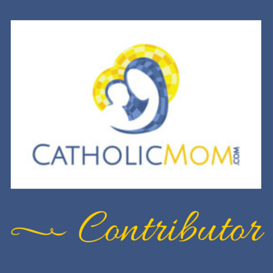 February CatholicMom column up, a Nameberry mention, and thanks for the fun! 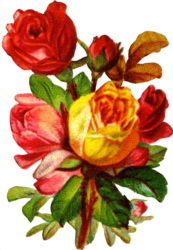 I’ll start with the last bit of the post title — thanks for all your great ideas re: a sister for Reverie! That was so fun to read! You all have amazing ideas! Secondly, our reader Clare, who has an awesome name site of her own (Name News) and is also my Welsh pronunciation expert, had a piece posted on Nameberry a couple days ago in which she mentioned Sancta Nomina — specifically the “Men Who Love Mary” category! If I’m ever remembered for one thing, having it be names for Mary would be one of my very top choices. 😍 Go check out her great post: Who Knew Victor Hugo was a Name Nerd? Finally, my February CatholicMom column posted yesterday — a slight re-boot of this post from a couple years ago: Names for Miscarried Babies. Miscarriage was on my mind recently because my parish just started a miscarriage ministry and asked me to help with it (and you know I tapped into our reader Mandi’s great resources at A Blog About Miscarriage). I hope this is helpful for anyone who’s mourning a little one.